As a mother of three children I try to have a healthy attitude about body image and food. I have struggled with my own image and am finding peace in this crazy world. My struggle with weight has been a life-long saga. Let’s start at the beginning. I was 6 pounds 6 ounces at birth. When I was 6 weeks old my father was called to serve his first tour of duty in Viet Nam. He moved his family – young wife Kaye, two-year-old son Mike and tiny me – to live with his family in Boston. My grandparents were from Ireland. 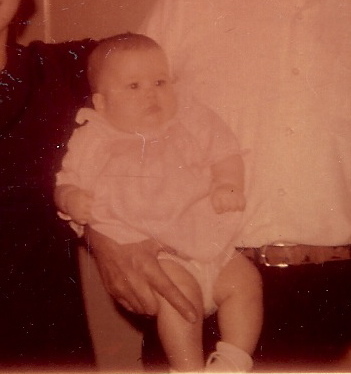 Grandma believed a chubby baby was a healthy baby. So, Grandma decided to fatten me up. I was fed whatever formula I was fed and three bowls of Irish porridge each day. Irish porridge is oatmeal with heavy cream. By the time I was six months old I weighed thirty pounds! Most one-year-olds weigh around twenty pounds. 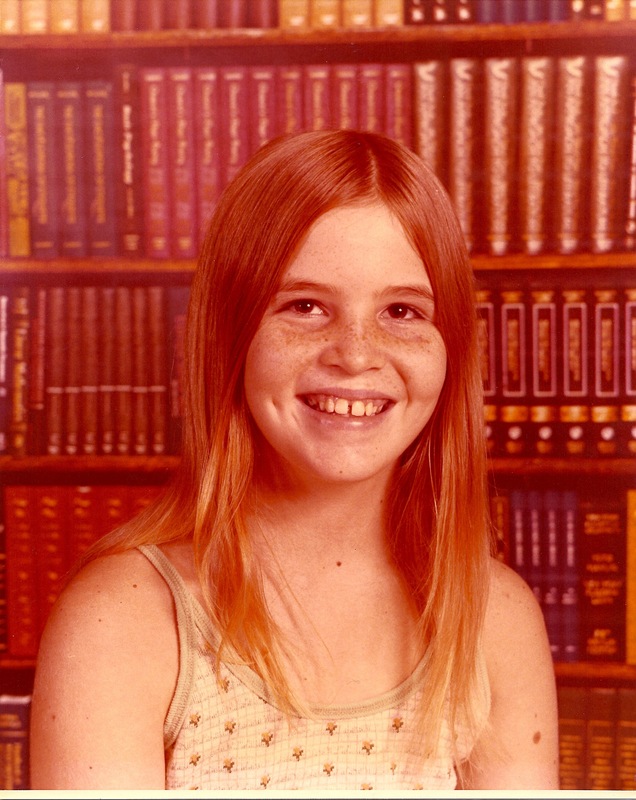 At this time my mom was pretty skinny – maybe even anorexic. She was over 5’8” and weighed 103 pounds. Wherever we went people would laugh at the Laurel & Hardy mother/daughter duo. 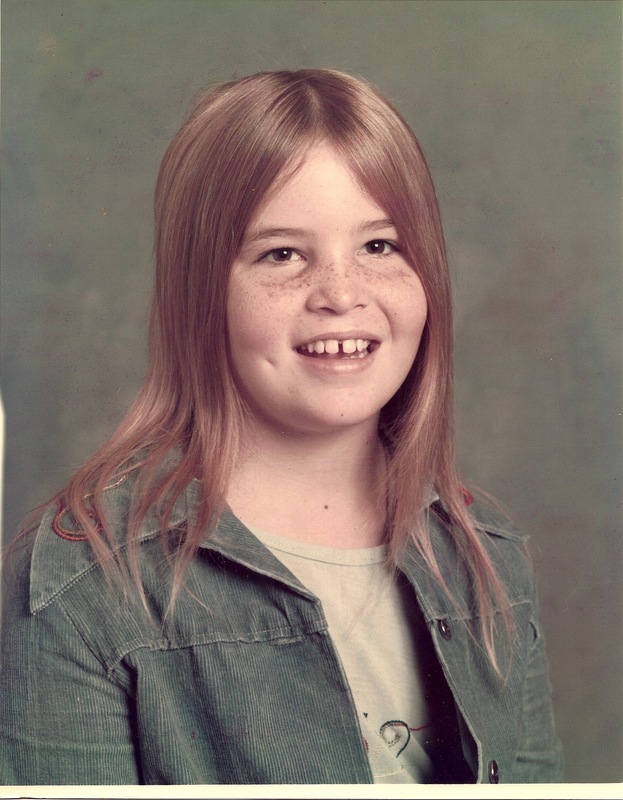 At the tender age of nine, in 4th grade, our Army family doctor said to me, “You can continue what you are doing and grow into an obese adult or you can do something about it.” I wanted to do something about it! My statuesque mom and little chunky me walked into the diet clinic at Womack Army Hospital. I was the only kid and my mom was the only thin person. We got lessons in nutrition and portion control. I remember pickles and green beans were “free foods” – most green food was – but those were the green foods I ate. This was the first time in my life I felt I had control. I did something powerful for myself. I gained confidence. I don’t remember how much weight I lost but you can see I went from a shy, overweight 4th grader to a confident average size 5th grader. This was my first lesson in life long health. I cracked a joke in the class and took the lead in a class play! I still struggle with my weight but I do not obsess about it – well – I do in my mind but I try to teach my children good health habits. I teach them to respect and love their bodies. They feel it when they eat poorly. At The Earth School they learn cooking, nutrition and gardening and they some home and share what they learn. At Millennium Phoebe learns food science and nutrition. I hope that Rob and I have instilled a good sense of enjoyment of food and healthy bodies. I am happy that they all got a good start with breastfeeding. I share my story with them to let them know a child can make smart choices and to let them know I have confidence in them to participate in their health. HEY! This is the cousin I fell in love with freckles with!